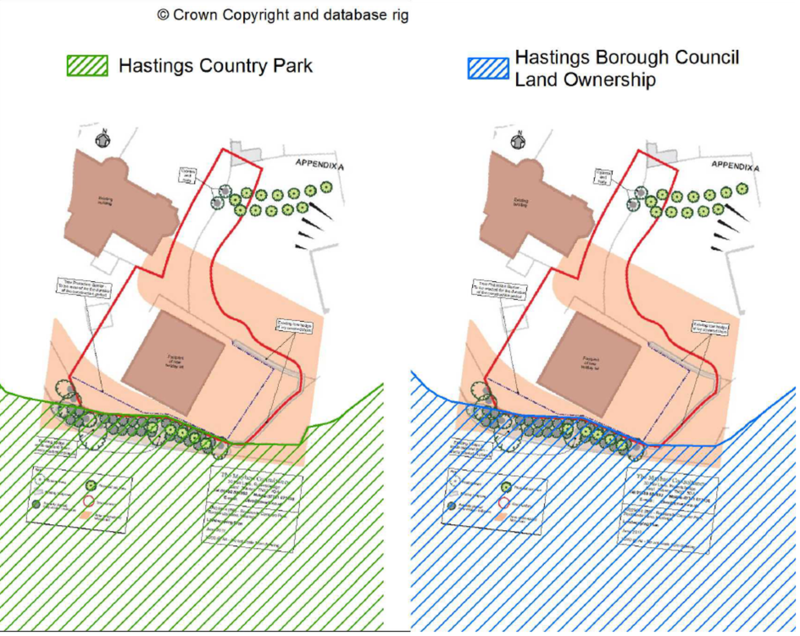 The PC was shown slides of two plans that showed the relationship between Rocklands and HBC owned land. These plans are not available on the application web site as they should be. Please provide copies of these 2 plans. This is a formal request under EIR. Please see attached plans as requested - The plans were referred to in a PowerPoint presentation prepared for Planning Committee only, the presentation is not required to be posted online.